The name lavender originates in the French word "Lavandre", which is a mutation of the Latin word "Lavare" - to wash. This refers to the ancient costume, popular since Roman times, to scatter sprigs of blooming lavender in the bath, which makes the cleansing deeper an more effective, and of course - the bathing experience both relaxing and fragrant. Lavender belongs to the Labiatae (AKA Lamiaceae) family, also referred to as the "Mint family", aludinig to the lip-like shape of the flowers. Lavender is native to the Mediterranean region. True lavender grows wild in southern France on the southern slopes of the Alpes, at 800m altitude and higher. Spike lavender (L. latifolia) is also a wild plant of that region, and grows in lower altitudes - from sea level and up to 600m altitude. Lavender must have travelled with the Roman conquerors all the way to the British Isles, where it has been very well received and has become an important part of the identity of British fragrance for many generations to come. Lavender became a popular herb among the monasteries across Europe in the 13th and 14th Centuries, and used in many recipes for therapeutic alcoholic preparations called aqua mirabillis. In her book Physica, the polymath abbess Hildegard von Bingen writes: "Lavender constrains many evil things, and evil spirits are driven by it". She describes its healing properties as stemming from combining the benefits of strength (of odour, I presume) and bitterness (which is how it tastes). Lavender now grows all over the world, and is a popular fragrance in many preparations, and particularly for its aromatherapeutic properties. Its oil is used worldwide in skincare, soaps, home care products, and the buds and dried flowers make their way to many homes to impart a clean, relaxing scents to closets and shoe away wool-greedy moths in the forms of sachets, potpourri etc. Lavender is a nostalgic scent to many, and usually brings fond memories. This may be because of its diverse therapeutic benefits; and also because it is so hardy and adaptable and can grown in many climates. Lavender is a popular garden herb and ornamental plant that attracts bees with its pheromone-like aromatic molecules. 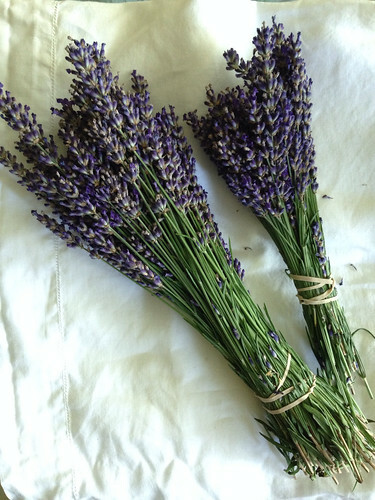 Dried lavender buds are in use in many homes in potpourris and in sachets to scent linen and clothes, and for its varied functional uses (insect repellent, antiseptic, nerve tonic and with many other therapeutic properties), and is considered to be the closest thing to panacea - the cure-all remedy. In her excellent book Aromatherapy and the Mind, renown aromatherapist and author Julia Lawless mentions that midwives would burn lavender over hot charcoals to ease a woman's labour; and mentions its association with the sorceress goddess Hecate. We've already mentioned its original use in Roman baths, but they were not the only ones - it was also used in the Turkish Hammams and Egyptian bath houses. Lavender sprigs were placed inside hats to prevent sunstrokes; they were also believed to ward-off the "evil eye" and even prevent the plague by scattering their sprigs on the floor. Sprigs of lavender were also incorporated in the decoration of churches on special holidays. Sachets were sewn into the skirts of Elizabethan ladies. Lavender is curiously considered to be simultaneously an aphrodisiac, and an herb that promotes chastity and purity. Lavender was also used to scent leather and in particular leather gloves, was placed in pillows of French royalty, a custom adopted fondly by many ordinary modern folks; and the oils is used effectively to scent hospital environments to promote patient's sense of well-being and prevent the spread of disease. 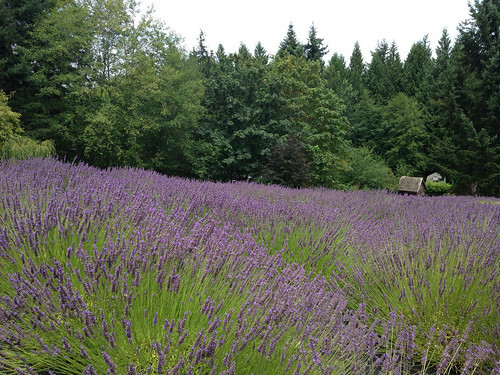 Tomorrow we'll discuss more of lavender healing properties and many therapeutic applications.